Retro looks for stylish photos! ANALOG projects 3 (Win&Mac) was available as a giveaway on September 15, 2017! The unique tools in ANALOG projects 3 allow you to play with light sources, hues, grain, vignetting, textures, blur and lens flare effects and create professionally styled images like a photo editing pro! ANALOG projects 3 gives you full control over every effect, which you can apply as a stylistic device to create your very own trendy look. 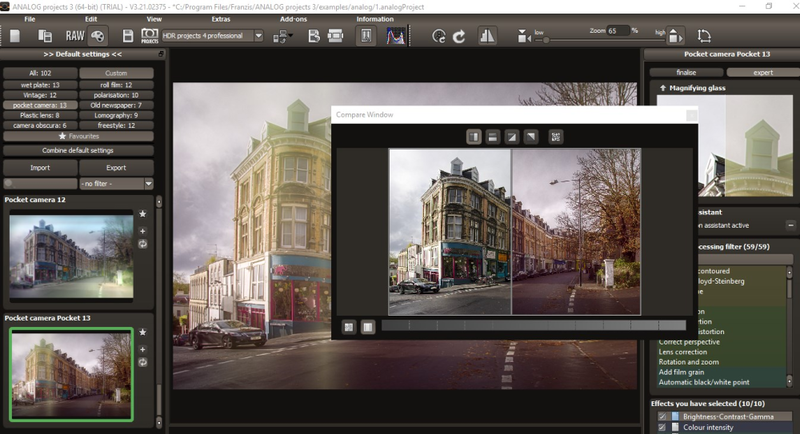 Can be used in various ways: Analog projects 3 works as a plug-in for Adobe Photoshop and Lightroom, and as a standalone application. Please note: the program archive includes Mac version a well! How would you improve ANALOG projects 3 (Win&Mac)? Blurred or unsharp images have so far been discarded even when their motifs were appealing. With SHARPEN projects photographer, this practice becomes a thing of the past. SHARPEN projects photographer is the best choice to refocus your shots, no expert knowledge required! Powerful fog and haze correction. State of the art scratch and sensor error correction. Sharp images even from shaky shots. 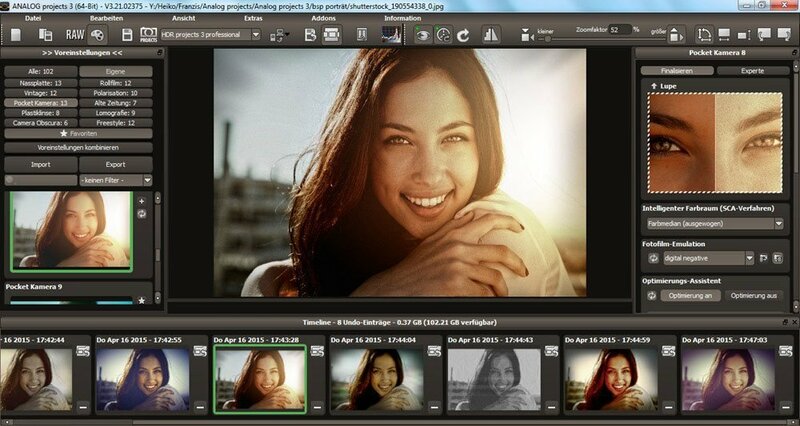 Special price for GOTD users: get SHARPEN projects photographer for only $20.00 instead of $69.00! but not able to import plug-in but Francis you are the best! Franzis ! you are really the best, I was not able to install the software during giveaway period but since I liked the software so much but I was on travel and I had no pc on hand, I was able to download it by mobile phone, and today Ive managed to extract and install it, but not able to import plug-in but Francis you are the best! Like before, I have myself signed up with my email to receive the software but I did not receive any email with the download links and serial number of the software?? How can I download "Giveaway of the day - ANALOG projects 3" and get a serial number? ? Like before, I have myself signed up with my email to receive the software but I did not receive any email with the download links and serial number of the software?? How can I download "Giveaway of the day - ANALOG projects 3" and get a serial number? ? André, just write ANALOG projects 3 giveaway on your browser, it will take you to the site where by you will get trial version of it, I have done it today successfully. Thanks Muho, for the reply. But what was the giveaway? a trial verion? Normally if you press the green download button, I'll receive a download link plus a serial number. W00T!! Even though this offer has expired, I was ***finally*** able to register and received my codes!! (thanks to Ootje and Garry Hinchman - used variations of the links in their posts). I installed it on Win 7 64bit Ultimate. I started playing with it - it is awesome, as are the other applications Franzis offers!!! Not sure where the German or the poor language came in, but I finally used google chrome and it has a translation option which works well. My account is now set up - sooooooo Franzis/software-projects.com I'm waiting for other offers now!! And a big thanks to GOTD for making this happen. W00T!! Even though this offer has expired, I was ***finally*** able to register and received my codes!! (thanks to Ootje and Garry Hinchman - used variations of the links in their posts). I installed it on Win 7 64bit Ultimate. I started playing with it - it is awesome, as are the other applications Franzis offers!!! Not sure where the German or the poor language came in, but I finally used google chrome and it has a translation option which works well. My account is now set up - sooooooo Franzis/software-projects.com I'm waiting for other offers now!! And a big thanks to GOTD for making this happen. Thank you Kyle for sharing your experience, even though the offer had expired. I followed the information you posted and was also able to get the program downloaded, installed, and successfully registered. (Had no luck yesterday.) Had you not posted, I wouldn't have even tried, so your post made a big difference to at least this person. Download and unzipped. But found MacOS setup file can't be open. Any Idea? PLease share direct MacOS download ink. The programme is SO big (427Mb) and my download speed today so s l o w (currently I am on the end of a line in the countryside) that even though back home it would have downloaded in perhaps no more than 10-15 minutes, here it keeps fluctuating between 25-50 minutes -- and the giveaway EXPIRES in 41 minutes! Look at comment #50 by Kyle and find the links he references. I had no luck yesterday and was still able to get registered today. Hopefully you will be able to as well. Franzis software never disappoints. I used analog projects pro for over a year with excellent results and I´m more than happy to take advantage of this free update. I like puzzles, I really do, but not when installing software. No email at all. Frustrating. S Norwood, I was the same -- even TWO days later! The fact that it took more than 40 mins to download the progrmme was not the problem: What still IS the problem is that, contrary to expectations, I STILL have received no email from Franzis. Either in my InBox or in my Junk mail box. So right now all that effort was for nothing! Activation went smoothly, as with all the Franzis titles I have ( five now with this one! ), I am positive Analog projects 3 will be a keeper! Behind the relatively simple interfaces usually sits a powerful set of specialized tools, filters and templates. Although I do have one warning be prepared to end up with several variations of an image as the possibilities are countless and each one is stunning in their own right! I'll never change no matter what MS tries to screw us with.......I can do almost anything with over 100 pgms in the system that ALL WORK ...........so I'll never know is this was a good one. Here I go again...........there are STILL over 100 MILLION XP users worldwide.......and this one "isn't' I'll never change no matter what MS tries to screw us with.......I can do almost anything with over 100 pgms in the system that ALL WORK ...........so I'll never know is this was a good one. iwontell, it's not microsoft you have to worry about screwing you. it's hackers and scammers. xp is easy to hack. Yes if one is already registered at the German site then this program will arrive pretty fast. Just plug in both fields, saving the 2nd long string code to use as SERIAL when the program is completely installed. So far all their photo programs have worked well. the titles. The About tab will show the registration done. Nice look though. 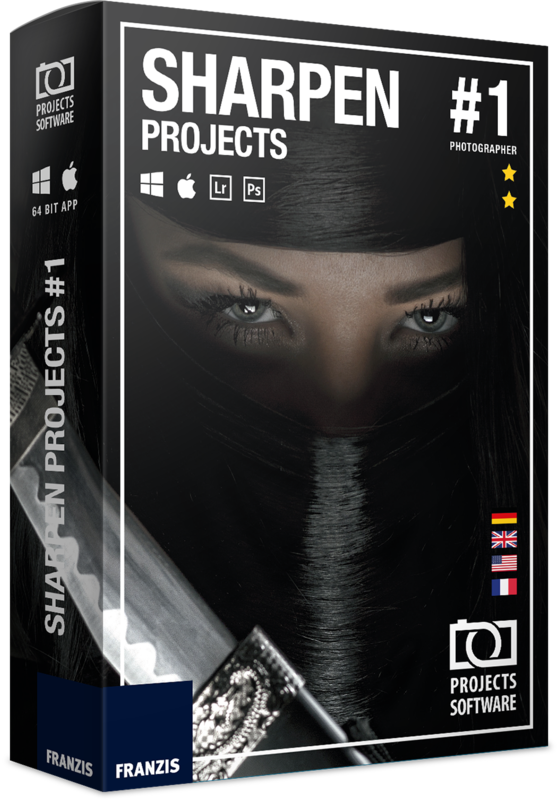 ANALOG projects 3 - V3.21.02375 Windows 10 x64 Pro. Yes if one is already registered at the German site then this program will arrive pretty fast. Just plug in both fields, saving the 2nd long string code to use as SERIAL when the program is completely installed. So far all their photo programs have worked well. Can get to be bit difficult to tell them apart as they shift the naming at times. The branding of ANALOG projects xxxx is relatively recent after years of using Franzis in the titles. The About tab will show the registration done. Nice look though. 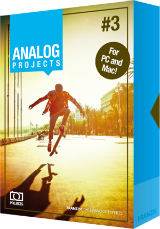 ANALOG projects 3 - V3.21.02375 Windows 10 x64 Pro. Everything worked great for me, though I got a notice that it was only for 30 days. However, I have several other things for Franzis and they all seem to be working fine still. you've to insert your registration number again in the program (the same which you used for the instalation process). Then it will be for ever. la, you've to insert your registration number again in the program (the same which you used for the instalation process). Then it will be for ever. Using a ...@gmx.de address from Germany (a good and free provider) I got my registration in a few minutes. Installation without any problems. I got a great program giving back the old analog feeling with ease. Very good for one like me with less experience (my main picture adjusting program is picasa). Thanks to Francis and GOTD. BTW. This good offer of today does not need troll comments. Using a ...@gmx.de address from Germany (a good and free provider) I got my registration in a few minutes. Installation without any problems. I got a great program giving back the old analog feeling with ease. Very good for one like me with less experience (my main picture adjusting program is picasa). Thanks to Francis and GOTD. BTW. This good offer of today does not need troll comments. I forgot to say that the registration email from Francis is in German. However, your ID and your reg number you will recognice without any help from a translator. After a rather annoying installation/activation process, it's finally installed and runs. The first thing I want to do is load a photo and start playing with it... but regardless of where I look, looking for files of type all pictures, either blank name field or *. 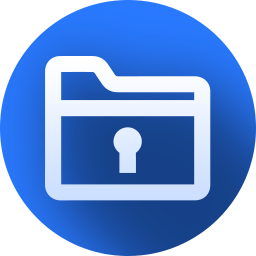 *, it doesn't find any files in any directory I look, or subdirectories thereof. A bit of a time-waster. After a rather annoying installation/activation process, it's finally installed and runs. The first thing I want to do is load a photo and start playing with it... but regardless of where I look, looking for files of type all pictures, either blank name field or *. *, it doesn't find any files in any directory I look, or subdirectories thereof. A bit of a time-waster. Laura Nass, try drag and drop! A rather difficult registration process, but it works OK. Just follow the instructions carefully. Unfortunately, you will get an email in German. I don't know if subsequent emails will be in German. Did not see any place to choose language. I can see this being of value to hobbyists or perhaps professional photographers with the time and inclination to play with it. I don't have that kind of interest or time. The effects are interesting, but not of value to me, but they might be to you. I suggest you download it and try it to see if it is something you will use. I won't use it, so I am uninstalling. Several comments: A rather difficult registration process, but it works OK. Just follow the instructions carefully. Unfortunately, you will get an email in German. I don't know if subsequent emails will be in German. Did not see any place to choose language. I can see this being of value to hobbyists or perhaps professional photographers with the time and inclination to play with it. I don't have that kind of interest or time. The effects are interesting, but not of value to me, but they might be to you. I suggest you download it and try it to see if it is something you will use. I won't use it, so I am uninstalling. Charles Lewis, Charles Lewis, all my emails over the years from Franzis have been in i perfect English, including this one. I am sorry to hear of this bad experience for you as Franzis are an excellent company providng software that is quick and easy to use. Philip, I could only report what I got. Here is a cut and paste of some of it. Wir danken Ihnen für Ihre Registrierung und freuen uns sehr, dass Sie sich für unseren Newsletter interessieren. Ihre E-Mail-Adresse clewis1963@gmail.com wurde zur Registrierung für unseren Newsletter vorgemerkt. Die von Ihnen erteilte Einwilligung haben wir am Ende dieser E-Mail für Sie aufgeführt. The proxy server could not handle the request GET /franzis/register/APK-21584000/999999999/0/502/2.0/0/en/. 6 Proxy Error attempts for registration page over 2 hours. I don't use a proxy. I'm getting proxy problem also: The proxy server received an invalid response from an upstream server. The proxy server could not handle the request GET /franzis/register/APK-21584000/999999999/0/502/2.0/0/en. Surprise!!! When you open program clicks on the News icon in upper left corner...,.you can get another free program of theirs called Photo Buzzer....it is great. Registration does take awhile for email and even for the internet button screen so be patient. Says 502 proxy error at top of page. Until fixed, this software is useless to me. Want it. but cannot get to it. Followed directions carefully until this page: https://register.franzis.de/franzis/register/APK-21584000/999999999/0/502/2.0/0/en/ Says 502 proxy error at top of page. Until fixed, this software is useless to me. Want it. but cannot get to it. Registration page comes back up with Proxy Error. Looks like Server is finally responding. Followed Internet link, Logged in, Received User ID and 'Registration Code. Entered both BEFORE install as it asked. Installed without error. When starting program it is asking for 'Serial Number'. Is 'Serial Number' the same as 'Your Registration Code' ? Assuming it is, I entered it again. Now it says 30 day Days Remaining. And.. it gives error - 'Internet Connection Error'. My internet, browser, mail all are working fine. SO there is NO 'Internet' problem at MY end. The program gets stuck. Can not even cancel it or close it. Had to close it in Task Manager. Tried again, and again to enter the 'serial number' - 'Your Registration Code' . Buggy program. Will not Register. Will not Quit. Not worth it after all the hassles and hoops you have to jump through. Registration Problem Followed Internet link, Logged in, Received User ID and 'Registration Code. Entered both BEFORE install as it asked. Installed without error. When starting program it is asking for 'Serial Number'. Is 'Serial Number' the same as 'Your Registration Code' ? Assuming it is, I entered it again. Now it says 30 day Days Remaining. And.. it gives error - 'Internet Connection Error'. My internet, browser, mail all are working fine. SO there is NO 'Internet' problem at MY end. The program gets stuck. Can not even cancel it or close it. Had to close it in Task Manager. Tried again, and again to enter the 'serial number' - 'Your Registration Code' . Same problem. Buggy program. Will not Register. Will not Quit. Not worth it after all the hassles and hoops you have to jump through. Well that was a right waste of time. After all the steps of registration, installation and getting the emails the registration code I was sent just locked up everything. It did nothing when I clicked Activate and the only way I could get rid of the dialog was using Task manager. I uninstalled everything and it then sent me a newsletter all in German. Well that was a right waste of time. After all the steps of registration, installation and getting the emails the registration code I was sent just locked up everything. It did nothing when I clicked Activate and the only way I could get rid of the dialog was using Task manager. I uninstalled everything and it then sent me a newsletter all in German. Mike Day, I had nothing of the problems--you'd mentioned them--BUT, THIS...with the program being...opened, my first attempting to close it from the taskbar (? ), it wouldn't...close: except for through Task Manager as well? Perhaps, something--IF THAT'S a consistent issue--developer might address itself...? In Chrome--answering other's...claims: emails in German--when it asks, "Translate this page? ", maybe, that...keys other things coming in...English (I'm guessing here), too? However GOTD does have some real keepers.........well SOME. Mike Day, WOW, I sure use REVO a LOT with many of these FREE programs........ However GOTD does have some real keepers.........well SOME. The proxy server could not handle the request GET /franzis/div/register/register.jsp. Can't install, click on internet button to get registration code but page won't load? Would like to try this software. Internet connection is good. Can't install, click on internet button to get registration code but page won't load? The proxy server received an invalid response from an upstream server. The proxy server could not handle the request GET /franzis/register/APK-21584000/999999999/0/502/2.0/0/en/. Reason: Error reading from remote server Would like to try this software. Internet connection is good. Well, my excitement lasted long enough to try and get my registration information. Hitting the Internet button does absolutely NOTHING!!!! It is really sad that anyone would offer software and NOT take the time to make sure their software is easily installed. Doesn't seem to work on mac. You enter the userid and registration code then click Register, but it does nothing after that. What's the next step? When I opened the program I got a pop up to enter the registration number a second time. I'm pretty sure it said it was good for 30 days. The install page also had a link to a manual. Can't get it to open. I messed around with some preset filters and I like it but I can't seem to open an individual picture. It wants to open a whole folder of pictures. My Hotmail address seems to be responsible for "Incorrect Registration Code" (or similar). How can I change the E-mail address I registered with Franzis Software? I have had a similar problem in the past where my gmail address was accepted but my Hotmail address was not. Any ideas, please? Nibor, My Hotmail address worked ? Define "time-limited offer". The license expires? "The licence expires" means that the installation and registration must be completed within the allotted time, which is about 14h 21min from now..
Franzis software is good to very good, but I've never seen it ranked number one in comparison to competing products, though their on sale prices, e.g. the offer for Sharpen Projects Photographer, often make up for that. If you are interested in buying their software, Google 1st to check out Franzis' different sites, including what seems their main site in German -- prices [& availability] can vary across those sites, & very good upgrade pricing is sometimes available too. Ashampoo sometimes has Franzis software on sale as well. Installing Franzis software is straightforward, except for the P/Shop compatible plug-ins... I've seen them include several copies of identical plug-ins listed for different apps &/or versions. I've had some of the included plug-ins work, & others not, so there can be a bit of trial & error. I've had Franzis plug-ins work when copied into the appropriate folder for whatever software, but I've also had some of their plug-ins only work when I used a shortcut to the filter in whatever plug-in folder -- I now always copy the plug-ins into the Franzis app's folder, & try the shortcuts 1st. I use Win7 & Win10 on this PC, plus use VMs... I've had Franzis installation apps unpack the real setup app in the User Temp folder, & using that has saved a little bit of time & trouble when installing more than once, & it saves space when I archive the setup file in case I want/need to re-install someday. I've also found many of their apps are semi-portable, in the sense that I can copy the program's folder from one copy of Windows to the next, & then also activate it there. ANALOG projects 3 is a bit of a niche program, in that you probably will only use it on certain projects &/or photos, rather than on every image. While being able to open RAW files is nice I suppose, I'm unsure why you'd use it -- perhaps the capability is needed for its Lightroom plug-in & listed in the features for marketing. If you shoot RAW, which is basically all the sensor data not yet interpreted into a picture, the workflow is generally to use something like Lightroom, DxO Optics Pro, Corel AfterShot etc. 1st, where you'd *develop* [process & adjust] a batch of images. That step is usually non-destructive [it's not permanent], and produces the jpg files you'd use in image editing software for tweaks, compositions etc. Regardless how good ANALOG projects 3 is, it just doesn't have the same necessary tools for processing RAW photos on its own. If it helps at all... Franzis software is good to very good, but I've never seen it ranked number one in comparison to competing products, though their on sale prices, e.g. the offer for Sharpen Projects Photographer, often make up for that. If you are interested in buying their software, Google 1st to check out Franzis' different sites, including what seems their main site in German -- prices [& availability] can vary across those sites, & very good upgrade pricing is sometimes available too. Ashampoo sometimes has Franzis software on sale as well. Installing Franzis software is straightforward, except for the P/Shop compatible plug-ins... I've seen them include several copies of identical plug-ins listed for different apps &/or versions. I've had some of the included plug-ins work, & others not, so there can be a bit of trial & error. I've had Franzis plug-ins work when copied into the appropriate folder for whatever software, but I've also had some of their plug-ins only work when I used a shortcut to the filter in whatever plug-in folder -- I now always copy the plug-ins into the Franzis app's folder, & try the shortcuts 1st. I use Win7 & Win10 on this PC, plus use VMs... I've had Franzis installation apps unpack the real setup app in the User Temp folder, & using that has saved a little bit of time & trouble when installing more than once, & it saves space when I archive the setup file in case I want/need to re-install someday. I've also found many of their apps are semi-portable, in the sense that I can copy the program's folder from one copy of Windows to the next, & then also activate it there. ANALOG projects 3 is a bit of a niche program, in that you probably will only use it on certain projects &/or photos, rather than on every image. While being able to open RAW files is nice I suppose, I'm unsure why you'd use it -- perhaps the capability is needed for its Lightroom plug-in & listed in the features for marketing. If you shoot RAW, which is basically all the sensor data not yet interpreted into a picture, the workflow is generally to use something like Lightroom, DxO Optics Pro, Corel AfterShot etc. 1st, where you'd *develop* [process & adjust] a batch of images. That step is usually non-destructive [it's not permanent], and produces the jpg files you'd use in image editing software for tweaks, compositions etc. Regardless how good ANALOG projects 3 is, it just doesn't have the same necessary tools for processing RAW photos on its own. mike, I'd rate Black and White projects as the best B+W converter I've used, and I've played with a lot. Also Sharpen projects is IMHO the most accessible Deconvolution Sharpener out there, although it almost always needs a bit dialling back on how much "pop" it adds. Provided one is not fed-up with lengthy Procedures described above and felt by many - another good opportunity is to check 'News' (blue 'field' on the left) in main Console of today's 'Analog Projects 3' - and obtain Free copy of 'Photo BUZZER' too. Here - getting Reg Codes is exactly the same as earlier on, with difference that they arrive promptly after confirming agreement of allowing 'junk letters' (later to be ignored, or unsubscribed from) Good Luck then!! :) and thanks for Today's Offer. Hope to have fun using it! Hi, the main 'disadvantage' of any of Franzis Software is NOT quality of their Products, but indeed pain with obtaining Registration Codes via e-mails on Giveaway days.. Not for the first time, not due to fact that Users might already have Accounts with them and after logging into them - still nothing arrives for ages, or not at all (not to mention that for none-German Customers these e-mails arrive in German, no matter if one states in little form online time after time that you live in Anglo-speaking Country. That form doesn't 'remember' it and keeps reverting address back to Germany..) That said - today I personally had no problem at all getting Codes into my hotmail post, and noticed much more instructions in readme File than before. Hurray:) Provided one is not fed-up with lengthy Procedures described above and felt by many - another good opportunity is to check 'News' (blue 'field' on the left) in main Console of today's 'Analog Projects 3' - and obtain Free copy of 'Photo BUZZER' too. Here - getting Reg Codes is exactly the same as earlier on, with difference that they arrive promptly after confirming agreement of allowing 'junk letters' (later to be ignored, or unsubscribed from) Good Luck then!! :) and thanks for Today's Offer. Hope to have fun using it! As with prior older-generation/version/edition title offers from Franzis here on GOTD, I can not find a view option to enable normal-sized fonts to permit readable text menus on a 4K display. I would hope that their latest "Pro" products can accommodate 4K displays; however, this uncertainty (and lack of reassurance/comments from Franzis on these GOTD pages when mentioned before) is what has kept me from buying some of their GOTD-discounted offers such as the "Sharpen Projects" listed above. As with prior older-generation/version/edition title offers from Franzis here on GOTD, I can not find a view option to enable normal-sized fonts to permit readable text menus on a 4K display. I would hope that their latest "Pro" products can accommodate 4K displays; however, this uncertainty (and lack of reassurance/comments from Franzis on these GOTD pages when mentioned before) is what has kept me from buying some of their GOTD-discounted offers such as the "Sharpen Projects" listed above. ...and it seems that the option to accommodate high-resolution 4K/UHD displays was added and is available mostly-only in their edition "5" products (except apparently still not in Cutout 5 or Cutout 6). That explains why these earlier edition ones typically offered as free introductions on GOTD and elsewhere have poorly-scaled menus and other window items displayed with teeny-tiny/itty-bitty/microscopic text. HMarx, (Followup) I looked through most of the user manuals available online: https://www.projects-software.com/user-manuals ...and it seems that the option to accommodate high-resolution 4K/UHD displays was added and is available mostly-only in their edition "5" products (except apparently still not in Cutout 5 or Cutout 6). That explains why these earlier edition ones typically offered as free introductions on GOTD and elsewhere have poorly-scaled menus and other window items displayed with teeny-tiny/itty-bitty/microscopic text. OK, I had a bit of inspiration to play with the "Properties" of the Desktop shortcut (or the EXE file itself, if you wish -- changing a property via the Desktop shortcut apparently/actually changes the property of the EXE file itself in the Program Files installation folders). Click on "OK" and try running it again. Hopefully it will appear much better. I did the same to my previous installations of Franzis titles and it "fixed" them all, making them usable at last. I don't know why there is no mention of doing this for their older titles in any of the available user manuals, or under any FAQ on their website. From comments made during previous GOTD offers from Franzis it sure seems like a top FAQ candidate! HMarx, (yet another followup) (I am running Windows 10 Home.) OK, I had a bit of inspiration to play with the "Properties" of the Desktop shortcut (or the EXE file itself, if you wish -- changing a property via the Desktop shortcut apparently/actually changes the property of the EXE file itself in the Program Files installation folders). Anyway, if ANALOG Projects 3 is displaying as ridiculously tiny on your screen, try this: Right-click on its shortcut (or EXE file itself) and select "Properties"; Click on the "Compatibility" tab; Check the box for "Override high DPI scaling behavior"; Immediately below that is a pull-down menu "Scaling performed by:" -- choose "System (Enhanced)" (if that does not work, then try "System" -- both seem to have the same result on my system); Click on "OK" and try running it again. Hopefully it will appear much better. I did the same to my previous installations of Franzis titles and it "fixed" them all, making them usable at last. I don't know why there is no mention of doing this for their older titles in any of the available user manuals, or under any FAQ on their website. From comments made during previous GOTD offers from Franzis it sure seems like a top FAQ candidate! You can read more about "legacy" application software display compatibility here: https://www.windowscentral.com/how-improve-app-dpi-scaling-enabling-system-enhanced-feature-windows-10 https://support.microsoft.com/en-us/help/15078/windows-make-older-programs-compatible Hope this helps. How do I get around this? They do not like my E-Mail Peovider. Dear Customer, unfortunately we are currently unable to process your registration with this E-Mail provider. Please try to register again with a different provider. Thank you very much. How do I get around this? They do not like my E-Mail Peovider. Dear Customer, unfortunately we are currently unable to process your registration with this E-Mail provider. Please try to register again with a different provider. Thank you very much. Good looking program. No install issues. Had needed registration codes in less than 5 minutes. There's an unbelievable amount of spam that's continuously dealt with by mail servers, & it's difficult for their software to tell friend from foe with 100% accuracy. Some legitimate emails will get blocked -- some mail servers will block email from legitimate sources. If I don't get a response email in a reasonable amount of time from something like today's GOTD, I'll try with another email address using another service [& servers] -- on a few rare occasions I've had to try 3 or 4 before the email got through. john la, There's an unbelievable amount of spam that's continuously dealt with by mail servers, & it's difficult for their software to tell friend from foe with 100% accuracy. Some legitimate emails will get blocked -- some mail servers will block email from legitimate sources. If I don't get a response email in a reasonable amount of time from something like today's GOTD, I'll try with another email address using another service [& servers] -- on a few rare occasions I've had to try 3 or 4 before the email got through. Click on "Internet" and nothing happen, Please out there have a direct link for get in the registration page. Many thanks! Unusual way of registering software - once you try setup, a splash screen asks for registration details. Click on the small 'Internet' button and enter email address. wait for them to send you log in details (and that does mean wait!). Scroll down the webpage and log in. This generates another email with user ID and regn key which you need to paste on to your setup splash screen. Been told the software is worth all this effort though! Clickiing the Internet button does nothing.....what is the link to register the software and get started? Kyle, Maybe the settings of Internet Explorer are off. Invalid mail address. Enter please a valid mail address. So-called "Temporary-mail addresses" are not accepted. When I fill in Email address, I receive: Invalid mail address. Enter please a valid mail address. So-called "Temporary-mail addresses" are not accepted. Franzis products are realy good. So it is worth to give them your real email address. BTW, I'm not getting spam from them. Veres Ioan, Franzis products are realy good. So it is worth to give them your real email address. BTW, I'm not getting spam from them. on GAOTD...but now I gave up...sorry. Ritchi Freudenkinder, that is my real email address, I have not an other one! On that one I have received the link for download, and it's first time when it has happend to me on GAOTD...but now I gave up...sorry. I have used Franzis products for many years now, having been introduced to them via "Giveaway of the day". I have found them to be typically German in their polite, efficient, helpful & swift replies when asked for help. I have found them to be very, very far from your description of them. Their software is of the highest quality and I cannot recommend it more! Thank you, nibo1978, for the opportunity to promote this excellent company and their brilliant products. nibo1978: I have used Franzis products for many years now, having been introduced to them via "Giveaway of the day". I have found them to be typically German in their polite, efficient, helpful & swift replies when asked for help. I have found them to be very, very far from your description of them. Their software is of the highest quality and I cannot recommend it more! Thank you, nibo1978, for the opportunity to promote this excellent company and their brilliant products. I'm very sorry, too. My email is a free one from gmx.net (a very good German provider with high security) and it is working fine with Franzis. Veres Ioan, I'm very sorry, too. My email is a free one from gmx.net (a very good German provider with high security) and it is working fine with Franzis. Even you're crying your spam problem here several times, it will not become true. On the address which I gave to Francis ist no spam. You should search your problem origin somewhere else. nibo1978, Even you're crying your spam problem here several times, it will not become true. On the address which I gave to Francis ist no spam. You should search your problem origin somewhere else. Ritchi Freudenkinder, use google and search "franzis spam" and you will find different sites who talk about spam from franzis and you will find sites who tells about that franzis is selling user data to other spammer and scammer! Ah, at long last I have got the program installed! I have a wonderful German daughter-in-law and have learned from her how German thinking differs somewhat from the English manner and I have to make a few allowances! I know this software WILL BE BRILLIANT - thank you "Giveaway of the day" and Franzis! Ah, at long last I have got the program installed! I have a wonderful German daughter-in-law and have learned from her how German thinking differs somewhat from the English manner and I have to make a few allowances! I know this software WILL BE BRILLIANT - thank you "Giveaway of the day" and Franzis! I know I shall thoroughly enjoy using this piece of software. I have many pieces of software from Franzis and use each of them dozens of times a day. I would buy them all if I ever had enough money (not very likely though!) It was Giveaway of the Day who introduced me to them and I always end up paying for the product - love them! However, installing it this time seems a bit of a challenge as I am not receiving their promised email (and, yes, I am well aware of the normal response of checking "Junk", Spam", etc.). We'll see! I know I shall thoroughly enjoy using this piece of software. I have many pieces of software from Franzis and use each of them dozens of times a day. I would buy them all if I ever had enough money (not very likely though!) It was Giveaway of the Day who introduced me to them and I always end up paying for the product - love them! However, installing it this time seems a bit of a challenge as I am not receiving their promised email (and, yes, I am well aware of the normal response of checking "Junk", Spam", etc.). We'll see! The last time I tried to download a Franzis prog I had a heart attack...(true). The last time I tried to download a Franzis prog I had a heart attack...(true). Think i'll pass. I've owned a few of their projects processes over the past few few years, and I have to say that they do a good job of providing us with tools that only have simple processes, in order to start using them. There are move complex editing techniques available in the programs, but with the basic programs and presets, it's fairly easy to get a decent result. Each Projects program covers a specific area of photo editing, such as Analog, which works on film photos and scans, and B&W projects, which creates good B&W images from color photos. Also, I've found their Customer Support to be very responsive. I've owned a few of their projects processes over the past few few years, and I have to say that they do a good job of providing us with tools that only have simple processes, in order to start using them. There are move complex editing techniques available in the programs, but with the basic programs and presets, it's fairly easy to get a decent result. Each Projects program covers a specific area of photo editing, such as Analog, which works on film photos and scans, and B&W projects, which creates good B&W images from color photos. Also, I've found their Customer Support to be very responsive. Like other times before, have myself signed up with my email to receive the software but I did not receive a email with the download links and serial number of the software?? Think something is going wrong somewhere. How can I download "Giveaway of the day - ANALOG projects 3"
Like other times before, have myself signed up with my email to receive the software but I did not receive a email with the download links and serial number of the software?? Think something is going wrong somewhere. How can I download "Giveaway of the day - ANALOG projects 3"
The registering, installing etc. process as described in 6 steps in the Readme can be discouraging but is not that complicated (except the parts in German!) once you have an account with FRANZIS, and it is worth creating one because they make damn good products and offer them here quite often. The new version installs BESIDE the previous one. Although it can seem of limited use (actually what it ADDS to your digital photos is what people usually try to REMOVE from their digitalized analog photos), today's giveaway belongs to this category of software fun to have if you enjoy creating different versions (B&W, with various effects etc) of some of your favorite photos, and the results are very interesting. If you already have a FRANZIS soft, you know how this one works as they all have the same interface: one of those you will immediately understand without any learning curve if you are happy with the numerous presets as they are, or tweaked playing at random with sliders and buttons, but which has everything to satisfy more skilled users who know what they are doing when they select Agfa RSX-II 200 rather than Kodak T-Max 400 or Fuji superia 1600 (I don't). There is a tool to combine two default presets into a custom one which will be saved in a newly created "custom" category, and could itself in theory be subsequently combined with a third one (but I didn't try that). Note that the combination A+B might differ slightly from B+A. I originally thought that was clumsy translations from the original German, but no, Franzis uses some kind of proprietary terminology, whatever the interface language. So note that, in more mainstream terms, "clarity" = contrast, "tonal value" = brightness", and "dynamic" = saturation. Other than that, the translations are obviously made by professionals, which is always a good sign. And after you click "save final image", don't enter the name of your photo in the box "title" unless you want to find that name written on it! It must be some kind of rite of initiation for the new comers to Franzis programs. Good one, Franzis! Previous version has been offered here in February 2016: https://www.giveawayoftheday.com/analog-projects-premium-2/ Here you can compare with new one: https://www.projects-software.com/compare/6/37,36/analog-projects-vs-analog-projects-3 There are many new features, presets etc. as evidenced by the size of the download (427 MB against 110!). Apparently there is only one version of ANALOG projects 3, no standard, premium, deluxe, pro, whatever... All Franzis manuals can be found here: https://www.projects-software.com/user-manuals There is also a short video on this page: https://www.projects-software.com/analog The registering, installing etc. process as described in 6 steps in the Readme can be discouraging but is not that complicated (except the parts in German!) once you have an account with FRANZIS, and it is worth creating one because they make damn good products and offer them here quite often. The new version installs BESIDE the previous one. Although it can seem of limited use (actually what it ADDS to your digital photos is what people usually try to REMOVE from their digitalized analog photos), today's giveaway belongs to this category of software fun to have if you enjoy creating different versions (B&W, with various effects etc) of some of your favorite photos, and the results are very interesting. If you already have a FRANZIS soft, you know how this one works as they all have the same interface: one of those you will immediately understand without any learning curve if you are happy with the numerous presets as they are, or tweaked playing at random with sliders and buttons, but which has everything to satisfy more skilled users who know what they are doing when they select Agfa RSX-II 200 rather than Kodak T-Max 400 or Fuji superia 1600 (I don't). There is a tool to combine two default presets into a custom one which will be saved in a newly created "custom" category, and could itself in theory be subsequently combined with a third one (but I didn't try that). Note that the combination A+B might differ slightly from B+A. I originally thought that was clumsy translations from the original German, but no, Franzis uses some kind of proprietary terminology, whatever the interface language. So note that, in more mainstream terms, "clarity" = contrast, "tonal value" = brightness", and "dynamic" = saturation. Other than that, the translations are obviously made by professionals, which is always a good sign. And after you click "save final image", don't enter the name of your photo in the box "title" unless you want to find that name written on it! It must be some kind of rite of initiation for the new comers to Franzis programs. Good one, Franzis! Another very useful & helpful post. ouialaraison, Another very useful & helpful post. Thanks for that. and replace C:\Program Files\Franzis\ANALOG projects 3.dll with the dll file it contains. Load a picture, play with the canned effects on the left side, play with the Film Type on the right side panel (which should start on the “Finalise” tab). You can then mess with assorted settings in the middle of the panel and at the bottom of the panel you can select toning options. The boxes at the top of the left panel just filter the effects that are listed in the panel, so ignore them initially. On a faster computer you can use the Eye icon on the toolbar to disable the preview mode and show the final image in the main window, which IMHO is worth doing. The thing to get your brain around is it a huge pile of image processing tools, which are gathered together into presets in the left pane. All those options do is select a bunch of processing tools (as shown in "expert") and choose options for them, so they are infinitely tweakable in the right pane. As usual a complicated registration process. It's a program from 2015 but also the latest version, as they seem to have stopped updating it. It also comes with a Raw file import library from 2014 so straight-out-of-the-box won't support more recent cameras. However you can just copy a later version of FreeImage.dll over the one in the program's directory to help with that (although it's still not completely up-to-date). You can get this from SourceForge or just download: http://transfer.franzis.de/projects/RawImageDllprojects_Win64.zip and replace C:\Program Files\Franzis\ANALOG projects 3.dll with the dll file it contains. If you're not running the 64-bit version of Windows, i.e. your computer doesn't have a directory "C:\Program Files (x86)" then the file you want for upgraded raw support in 32-bit Windows is: http://transfer.franzis.de/projects/RawImageDll_projects_Win32.zip If you have a Mac you'll need to get the OSX version of FreeImage from SourceForge and replace the existing one, wherever it might be. (You may need to rename the original file first.) Here's my getting-started instructions on using it: Load a picture, play with the canned effects on the left side, play with the Film Type on the right side panel (which should start on the “Finalise” tab). You can then mess with assorted settings in the middle of the panel and at the bottom of the panel you can select toning options. Changing to "Expert" in the right panel you can add filters from the list at the top, select them in the middle of the panel and tweak their effects at the bottom (may need scrolling down). (I'd ignore that until you are comfortable using it.) The boxes at the top of the left panel just filter the effects that are listed in the panel, so ignore them initially. On a faster computer you can use the Eye icon on the toolbar to disable the preview mode and show the final image in the main window, which IMHO is worth doing. When saving the final image note that the first dialog, where it asks for the title, is going to write that over the image, it isn't the file name. The main disadvantage is the lack of Undo operations. Note that although they do add a Photoshop plugin it's under File->Export, not Filters, which IMHO doesn’t really count. 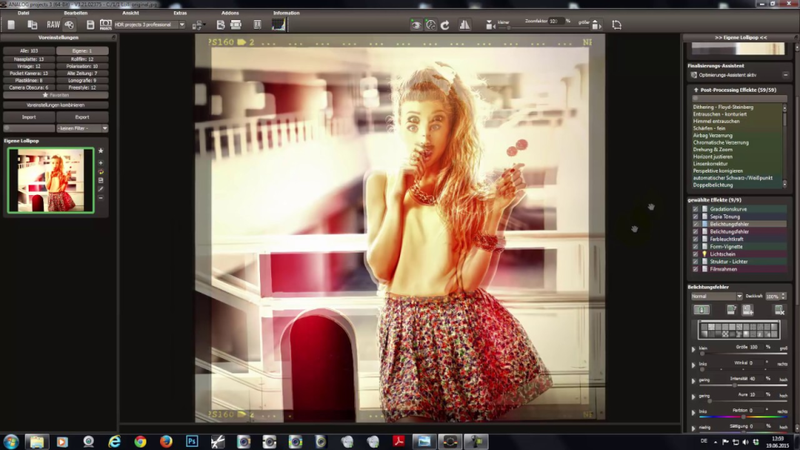 (You need their v5 products to get "real" Photoshop filters.) The thing to get your brain around is it a huge pile of image processing tools, which are gathered together into presets in the left pane. All those options do is select a bunch of processing tools (as shown in "expert") and choose options for them, so they are infinitely tweakable in the right pane. Brilliant John. Thanks for that and specially re the info for later RAW images. Very useful. JohnL, Brilliant John. Thanks for that and specially re the info for later RAW images. Very useful. JohnL, "The main disadvantage is the lack of Undo operations." Ootje, Sorry, been out, to explain they allow you to manually make restore points (a timeline will appear) and go back to them, but not "undo" in the conventional sense, hence unless you make restore points all the time you can't just go back three or four steps as you think you've gone the wrong way. Hope that's clear? "and replace C:\Program Files\Franzis\ANALOG projects 3\FreeImage.dll with the dll file it contains. JohnL, Oh, except it's wrong, oops, well thanks anyway. Should be: "and replace C:\Program Files\Franzis\ANALOG projects 3\FreeImage.dll with the dll file it contains.